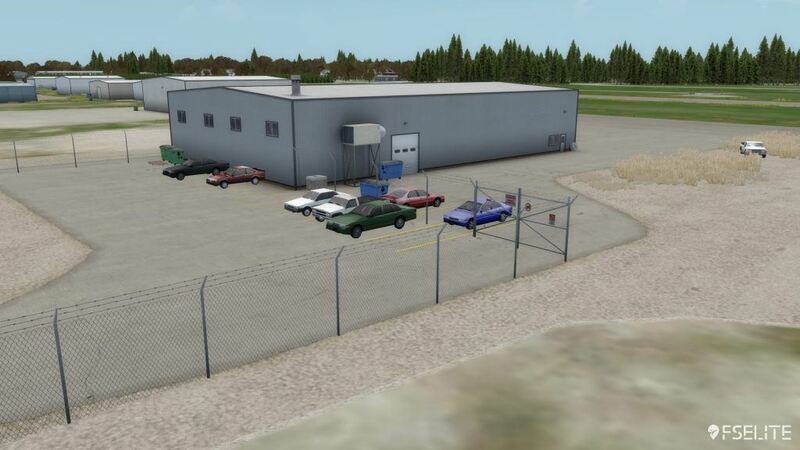 Turbulent Designs is back again with a brand new airport. 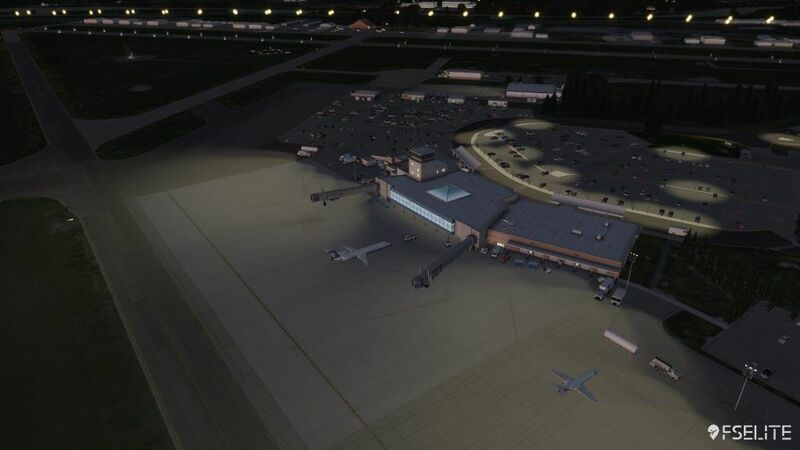 Just a few weeks after the release of their impressive MBS International Airport, the team have delivered a similarly sized airport, but this time in Idaho. 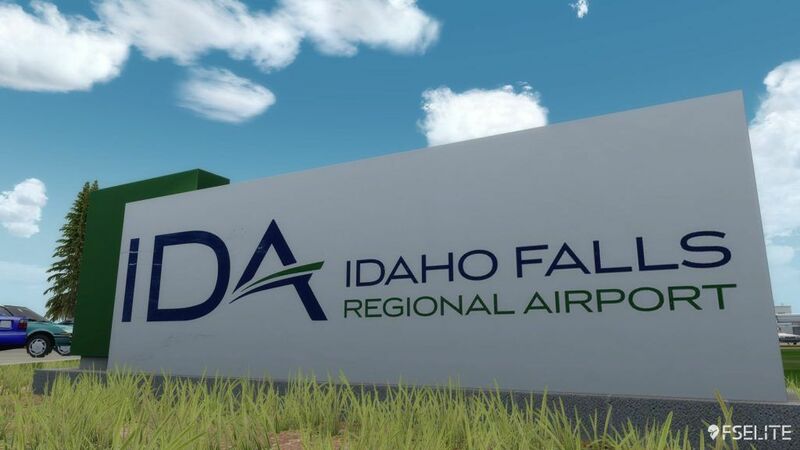 Idaho Falls Regional Airport has all the makings to be a great add-on for the community: plenty of GA flying and a nice selection of regional airlines serving a couple of nice destinations. 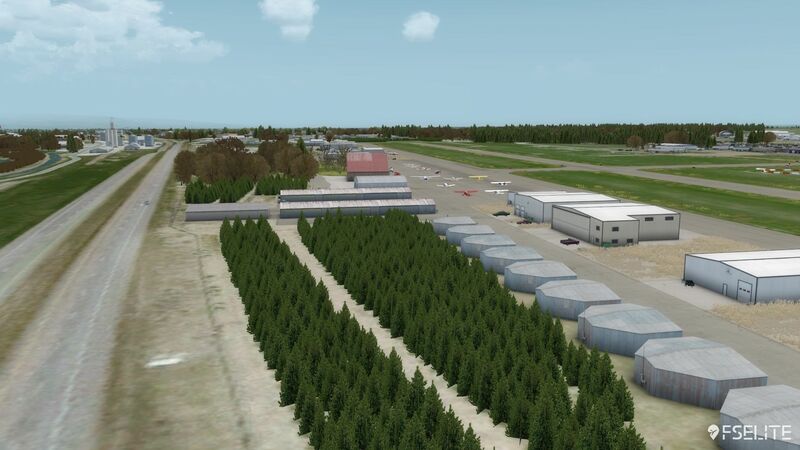 Further to that, Idaho is a relatively under-appreciated area in the flight sim world, so it’s nice to see Turbulent Designs giving the state the attention it deserves. 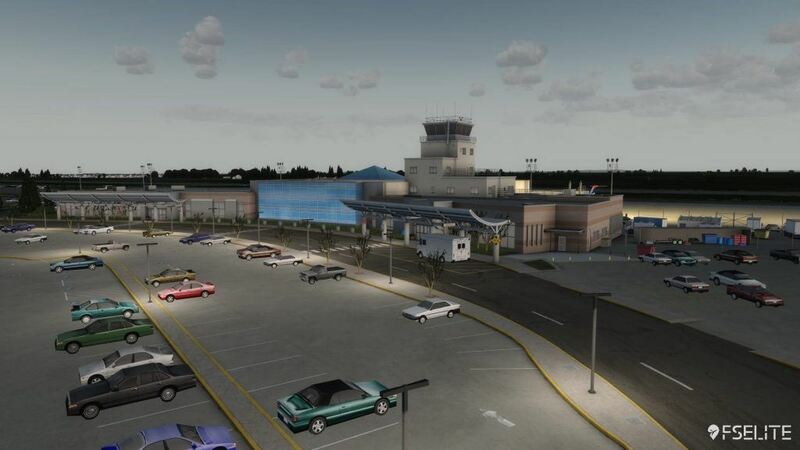 Idaho Falls Regional airport is just a few miles away from the business district of Idaho, so the airport sees a lot of business travellers pass through. 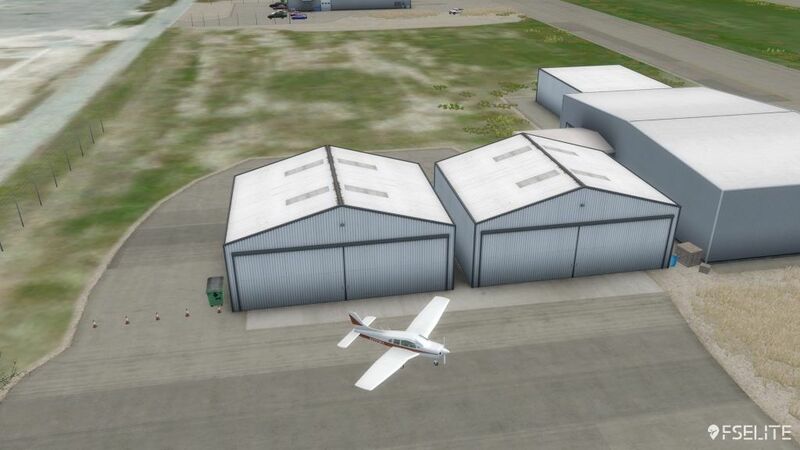 The airport is perfect for business jets with the small terminal building. Because of the size, yet again, Turbulent Designs has been allowed to go into detail with each structure. As we have come to expect now, the team has really delivered. Straight away, you’ll notice the details on the terminal itself. Air vents, drain pipes and air conditioning units are scattered around as well as plenty of dirt and wear and tear. On some of the supporting buildings, you can see each layer of brick, wood panelling and piece of concrete. The texture work is sublime and with each release, you can really see the team improving upon their last work. One of my favourite touches is the air traffic control tower. The sheer amount of detail is staggering. Ladders, window joiners, antennas and railings are all there. There’s even a temporary set of steps at the base – including the wheels. I love these sorts of details and you will too. Another example: the signage outside the terminal buildings are so clear, you can read them with ease. The team really know how to work detail into their projects. Comparing it to MBS International (their last big release), you’ll remember how much I enjoyed the interior modelling. 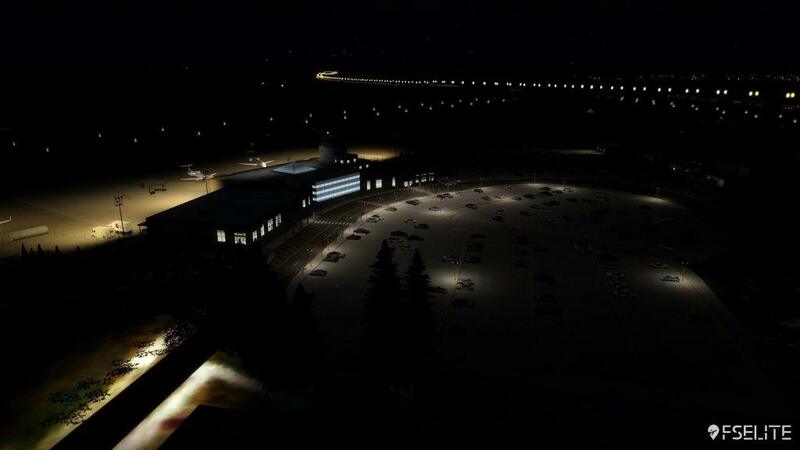 Unfortunately, there’s very, very limited modelling inside the terminal building with Idaho Falls Regional. There are a few chairs lined up in the departure hall, but the majority of the building is barren and empty. Whilst some of you may not think it’s an important element, it just feels a little disappointing, as you won’t be able to explore in the same detail as you could with MBS – despite the fact they’re similarly sized. I assume it was because the team couldn’t get the blueprints this time, but it would have been nice to see some sort of modelling or texture work inside. I’m sure a lot of you are reading this thinking “why does interior modelling matter?” Well, if you’re someone who enjoys flying the lighter aircraft from hangar back to hanger, then interior modelling matters to you. 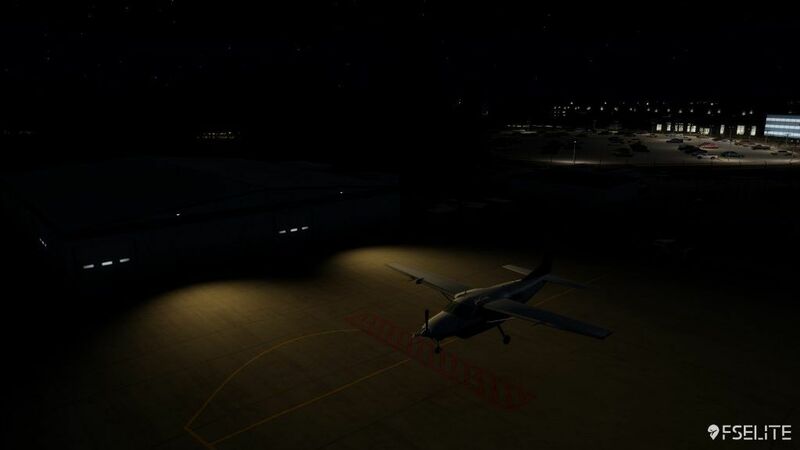 Again, in MBS International Airport, you were able to go into the hanger, park up your aircraft and walk away again in avatar mode. With Idaho, despite the huge amount of aircraft hangers, none of them were “open” for you to park your aircraft. It may be a small thing, but had a big impact on my enjoyment flying some of my Carenado prop aircraft. I’m hoping that an update in the future will open some of them up to enable this. With that in mind, there’s a huge range of things to see and do around the airport. There are plenty of facilities dotted around the airport. 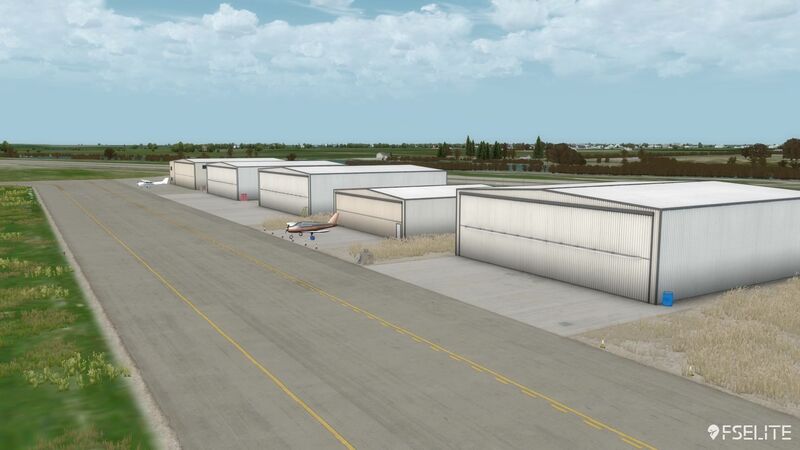 The catering and baggage areas look great, as do the various maintenance buildings and static objects. There’s aircraft, trucks, and cars littering the airport adding to the immersion. Again, when it comes to the details, Turbulent Designs are leading the way. For example, each car is lined up perfectly in a parking space. They aren’t random, time and attention has been put in to ensure no detail is inaccurate. Bins, wooden crates and traffic cones give a sense of really being at the airport. The ground textures and poly work has been done to the highest of standards. At first, I thought that the cracks in the concrete floors was a little over the top, but when I looked on Google Maps, it’s actually really accurate. 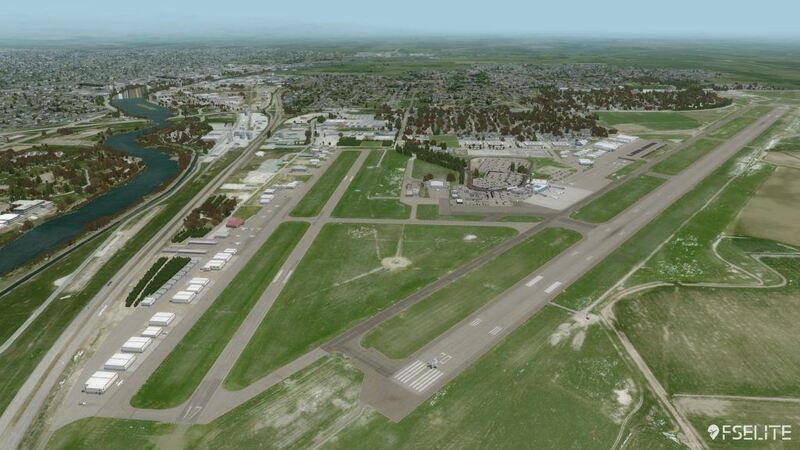 In the real-world, the apron towards the north of the airport is in pretty terrible shape. 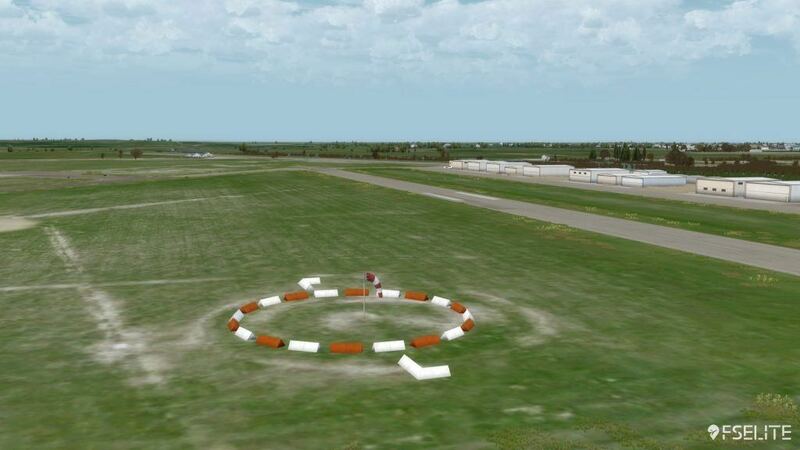 As you would expect, it’s accurately represented in the sim and again highlights Turbulent Design’s eye for accuracy. I feel that the grass textures appear a little bit blurry when up close and personal, but this is just a small inconvenience when the ground markings and signage looks as crisp as it does. 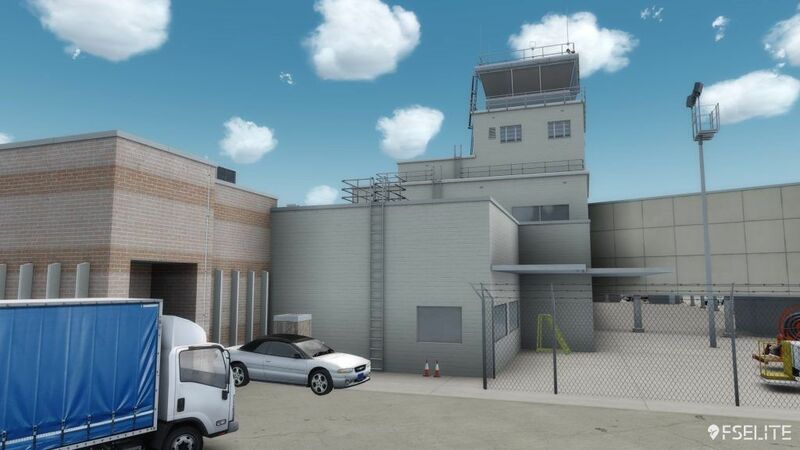 Beyond the airport, the team have included some wonderful looking foliage (thanks to their Real Flora technology) as well as hand placing multiple objects such as housing, and office buildings. As you would expect, you’ll be able to use SODE for your jetways, and installation is super easy thanks to the Turbulent Designs installer. Turbulent Designs have developed a really nice-looking tool that enables you to change the settings, purchase new products and access support. 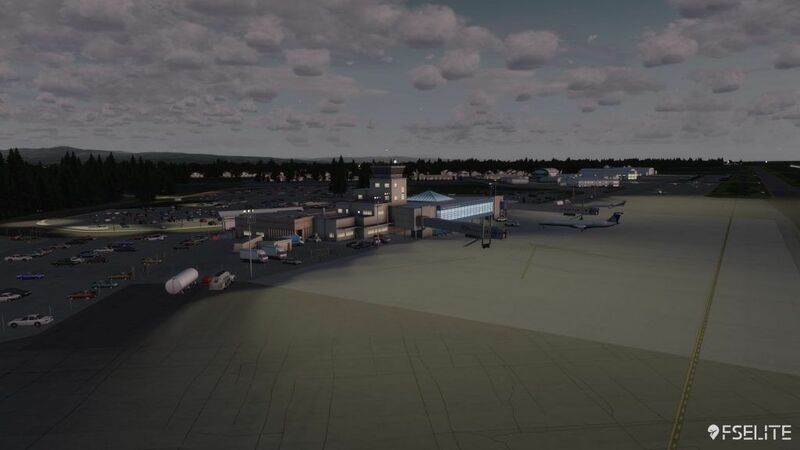 Called Turbulent Terminal, this tool has lots of great functionality, is really clean looking, and enables you to give yourself the best experience for Turbulent Design’s scenery. For Idaho Falls, you’re given plenty of options to best suit your needs. 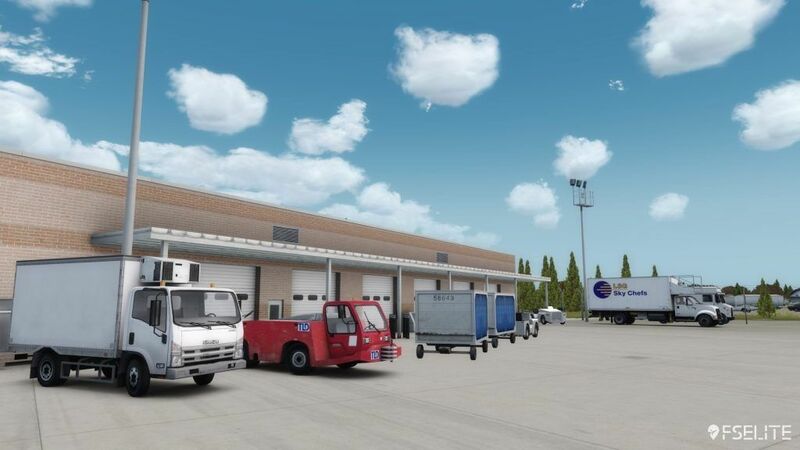 For example, you can elect to blend it into FTX Global or FTX Central Rockies Mountains, as well as Megascenery Earth or even the default textures. If you have a weak machine, then you can adjust the various features and change from HD textures to SD textures. 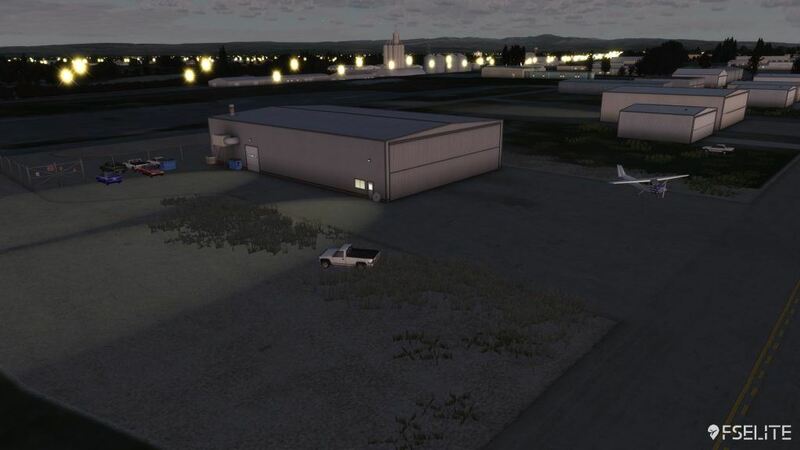 Finally, with the introduction of dynamic lighting in P3DV4, Turbulent Designs also gives you the option to use either the new lighting technique, or if you prefer, you can choose to use lightmaps – which is less performance intensive. Speaking of night lighting, I tried both sets for the review – both have pros and cons. 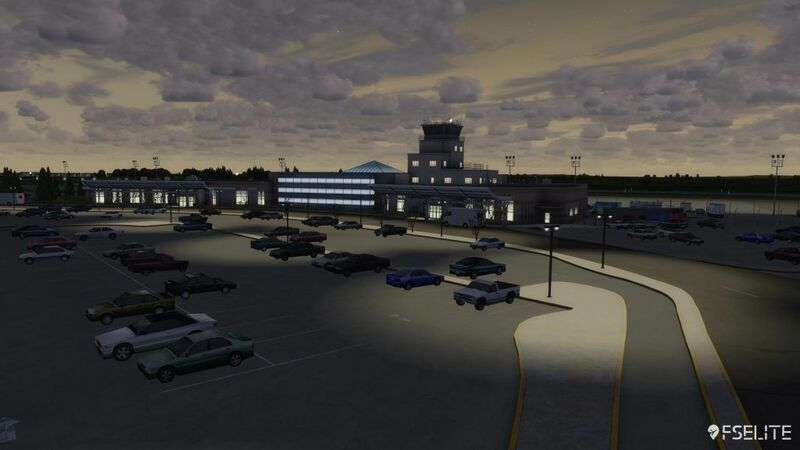 Dynamic lighting in P3DV4 is one of the biggest additions to the ESP engine that we have seen for a long time, so it’s great to see developers really taking advantage of the new technology. 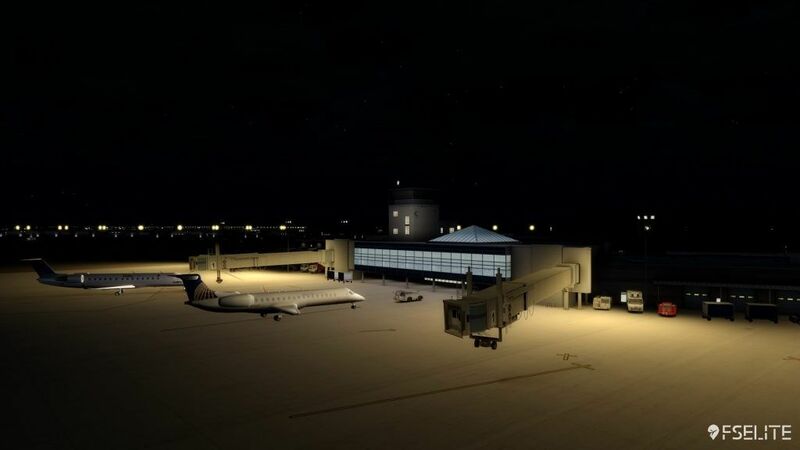 In Idaho Falls Regional Airport, the dynamic lighting looks tremendous. 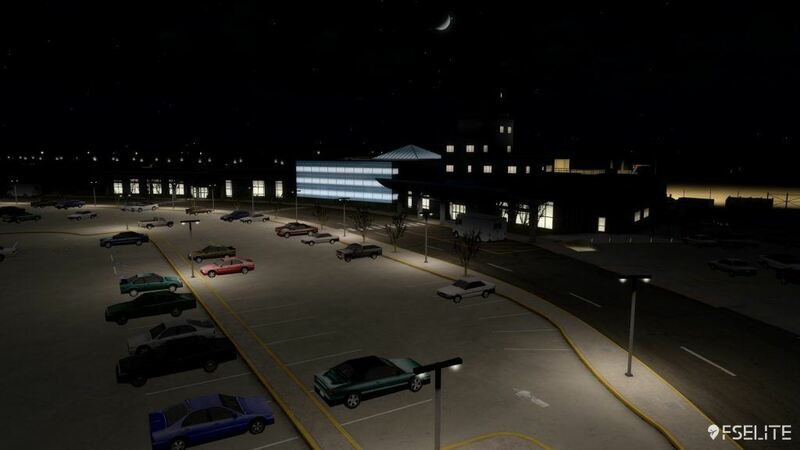 Take a look at the screenshots below: it adds a new level of realism and Turbulent Designs have done a great job at using a variety of lighting effects to create a truly ambient experience. 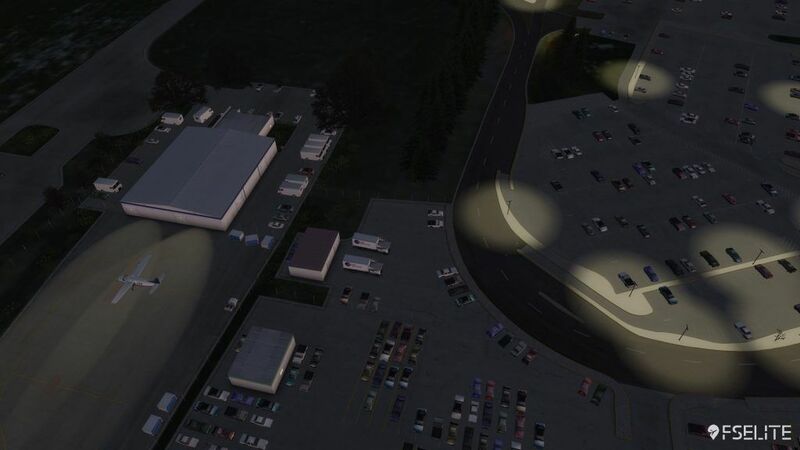 In the car parks, the lights are brighter and whiter, and they illuminate the ground and vehicles nicely. Move on over airside and you’ll see the nice soft, yellow effect creates a very atmospheric effect on the apron. 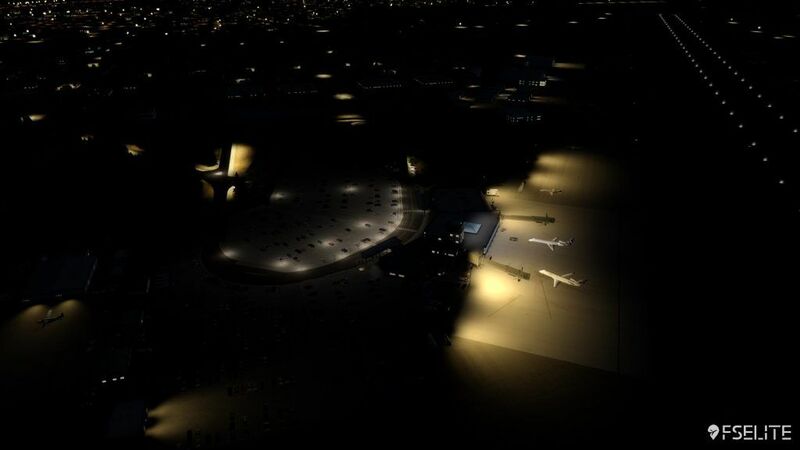 The aircraft hangers are also decorated with smaller roof lamps that bounce off the floor. Of course, with such beauty comes sacrifice. It does impact frame rates quite dramatically depending on where the camera is looking. It’s surprising because I found MBS International Airport to be much friendlier when using dynamic lighting. Regardless, Turbulent Designs have given you the option to use the better performing lightmaps instead. They provide exceptionally better frame rates, but with the reduction in eye-candy effects. It still looks great, but you lose that atmosphere and impact of natural looking lighting. Kudos, however, to Turbulent Designs for catering to both audiences. 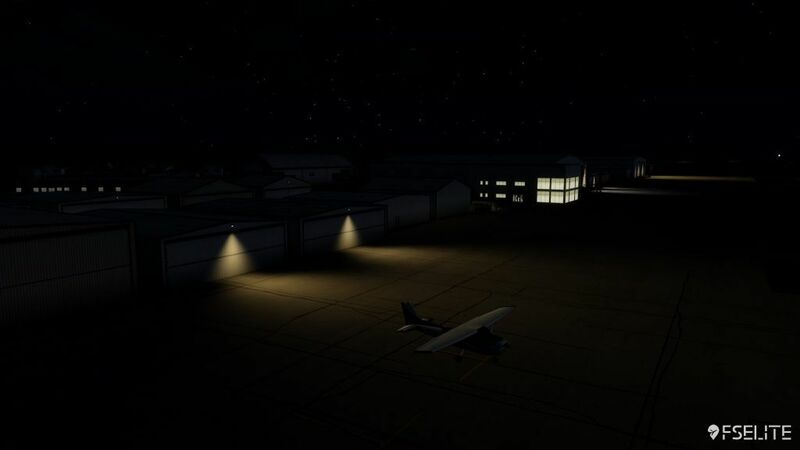 Night lighting with lightmaps instead. 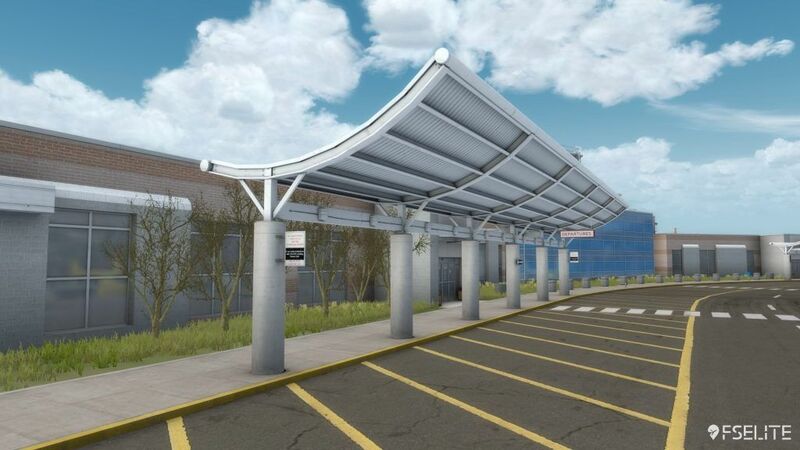 The overall performance of Idaho Falls Regional is what you would expect from an airport like this. It runs really smooth, even with the settings up high. There were no flickering textures, pop-in objects or any visual artifacts that may impact your experience. When it comes to value, Idaho Falls Regional Airport is the same price than MBS International Airport. 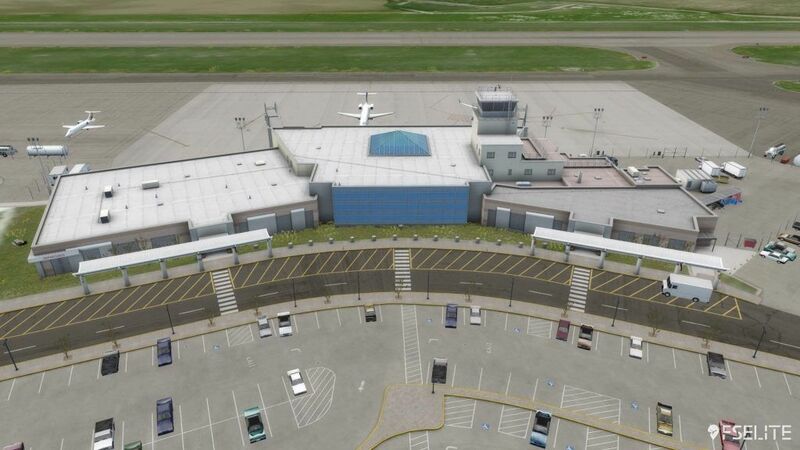 The difference is, Idaho Falls Regional Airport lacks some of the features I really liked about MBS, which makes the purchase slightly less value for money. However Idaho Falls is still a very compelling purchase for what you get. 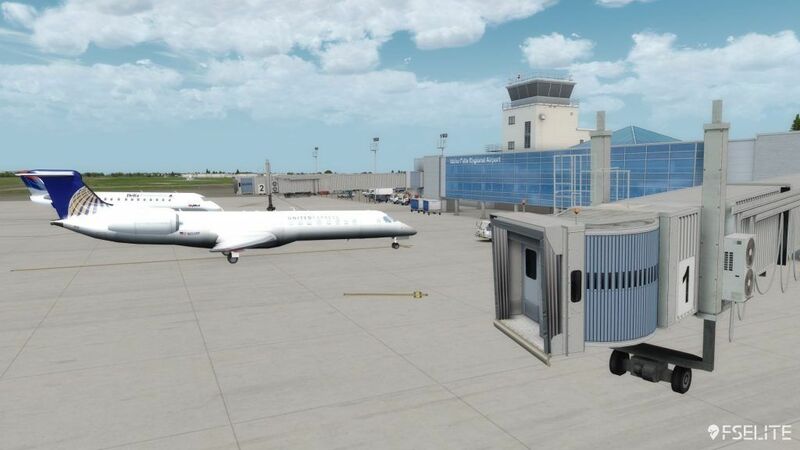 Obviously if you’re the type of simmer that enjoys flying heavy aircraft into busy international airports, this isn’t going to be for you – this is very much geared towards the regional flyer. 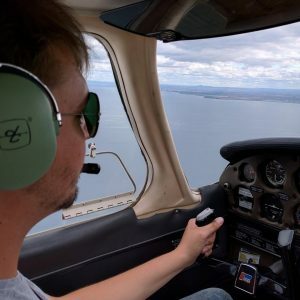 I certainly encourage you to try it as it opens up a range of interesting routes – including the chance to fly into Idaho Falls. 8.5 Out of 10 How do we score? | Feedback? 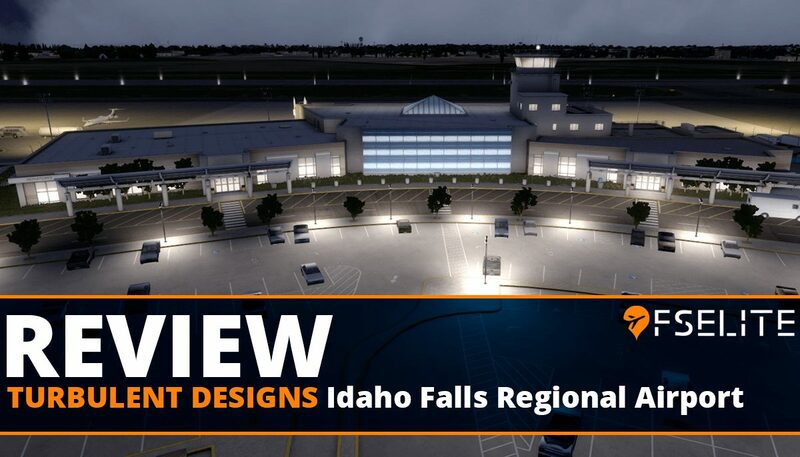 Turbulent Designs have done it again with another excellent rendition of Idaho Falls Regional airport. 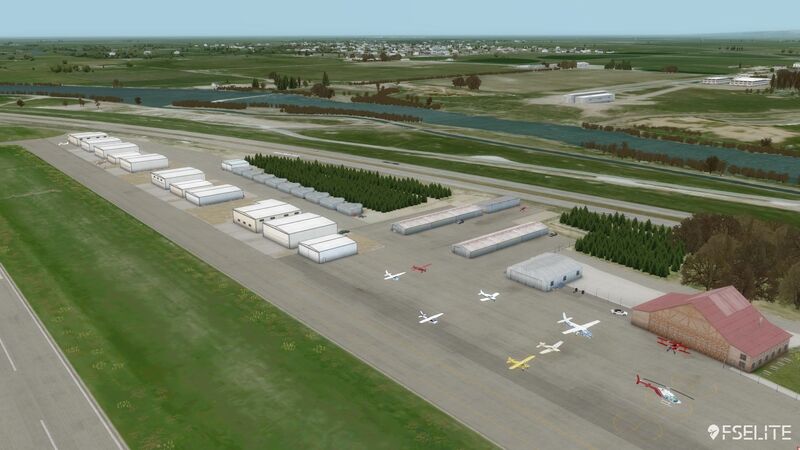 If you want a regional US airport that oozes in quality, has great overall performance and offers a range of routes, then this is for you. It does lack some of the quality features MBS had, although you'll still have a great time exploring this new regional airport.